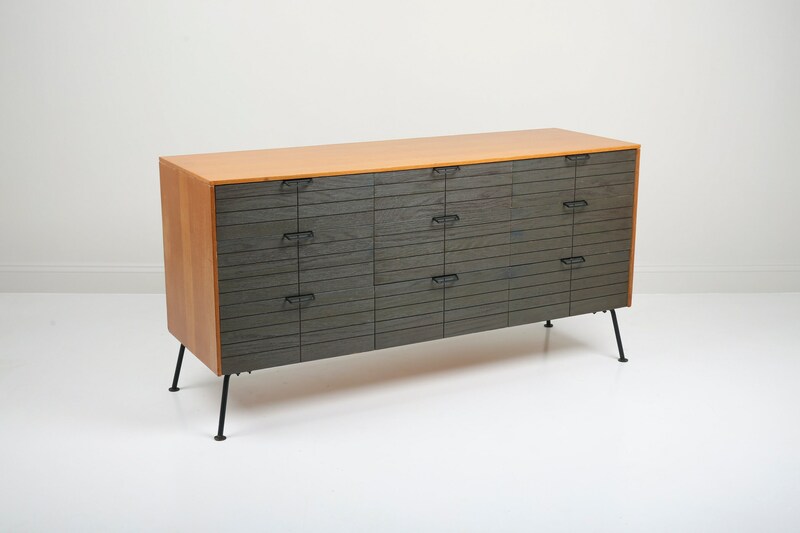 Uber rare and early mid century modern credenza dresser by Raymond Loewy for Mengel furniture company. 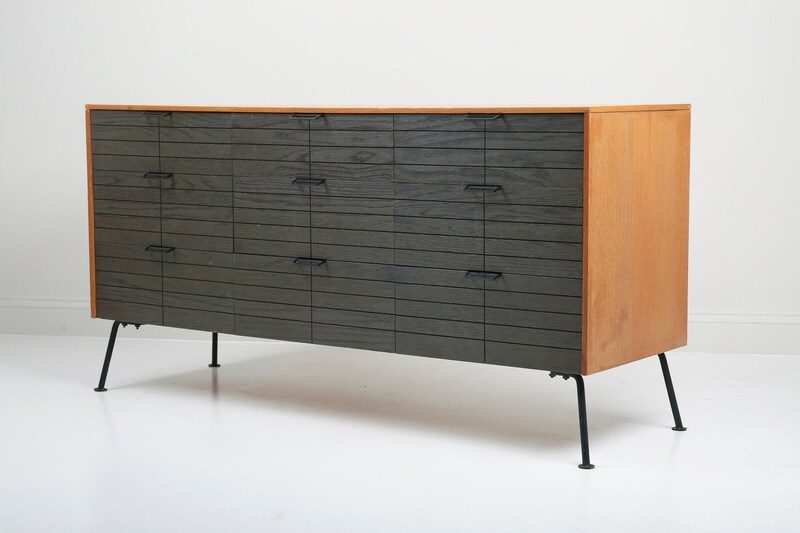 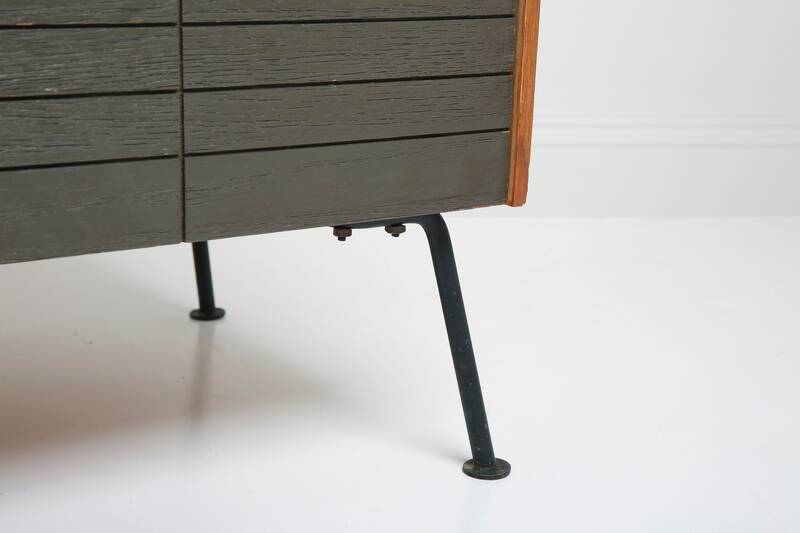 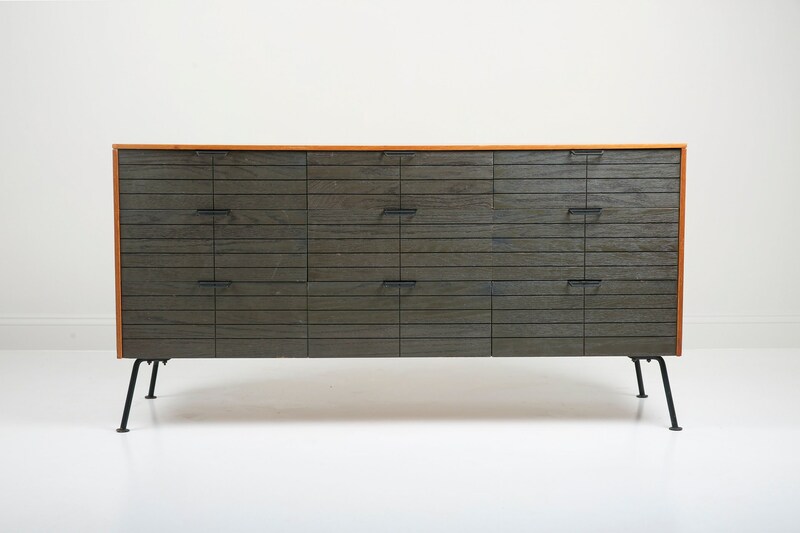 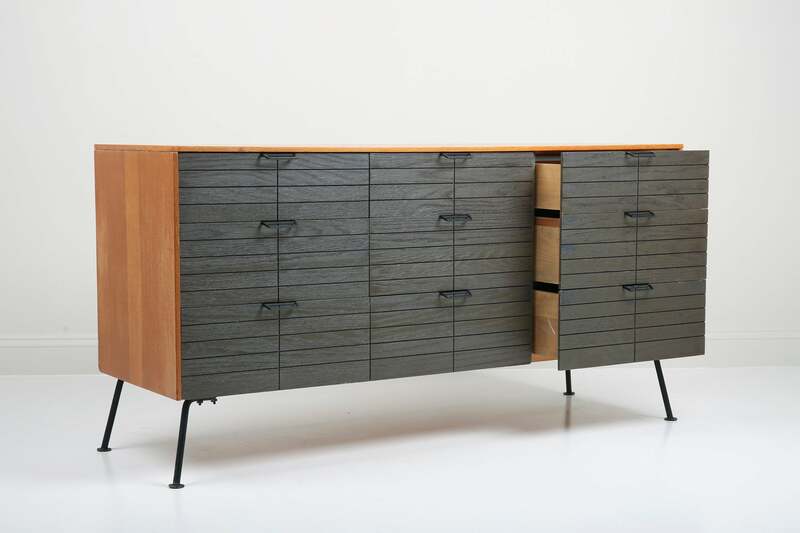 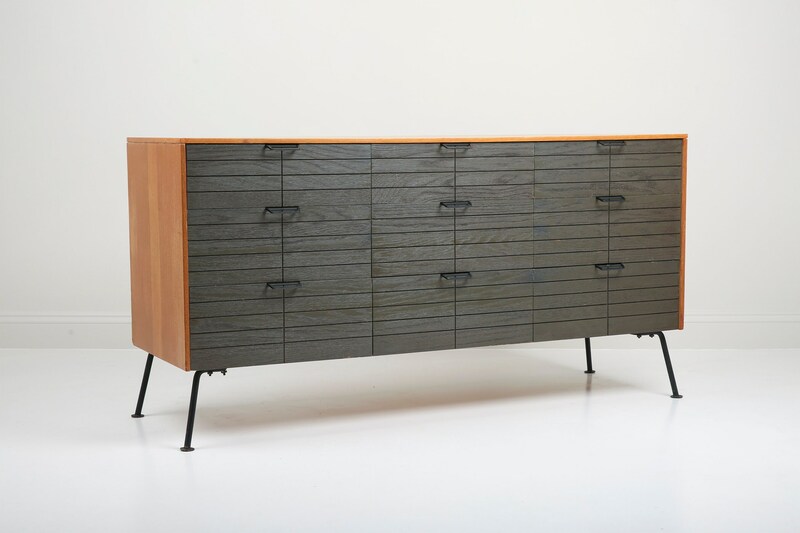 It features enameled oak drawer fronts, modern black steel pulls and splayed wrought iron legs. 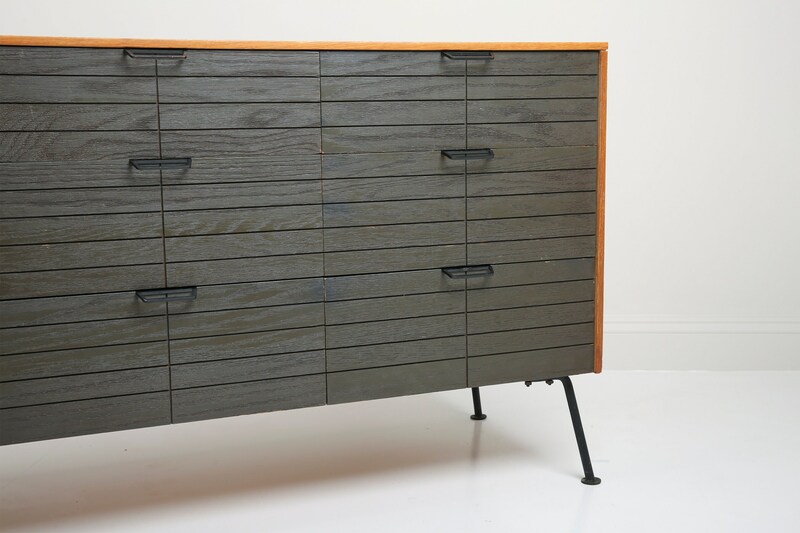 It also has an original robin's egg blue painted pull out vanity in the top center drawer with a depressed brass ring pull, but is missing the mirror glass (could be replaced). 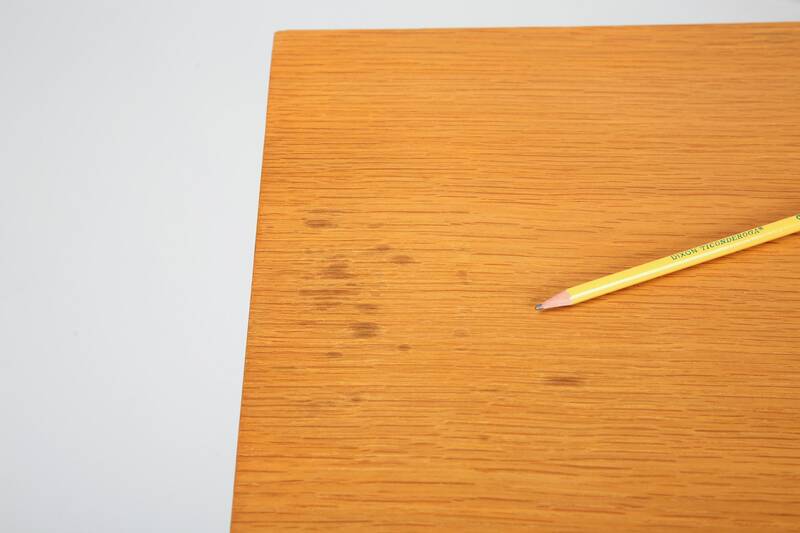 CONDITION: Good vintage condition. 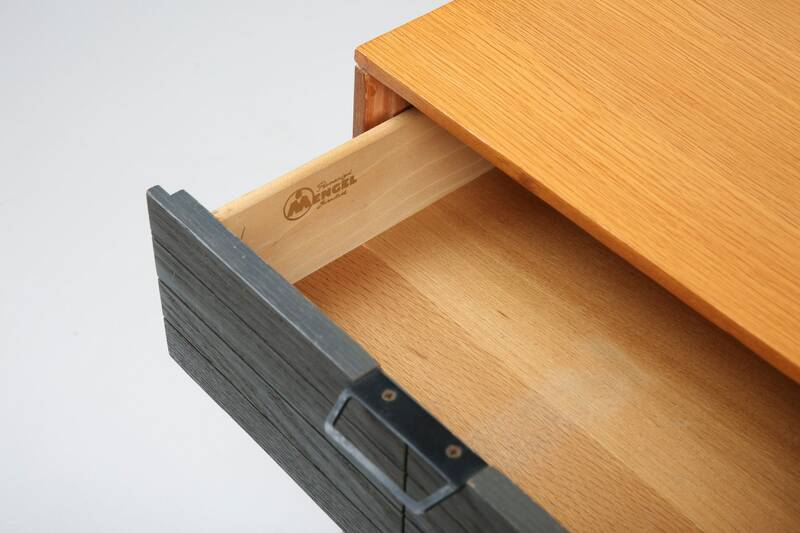 Wear consistent with age and use including small chips in the paint on the drawers, some chips in the veneer on some of the corners and some small stains to the top surface (see pics for condition). 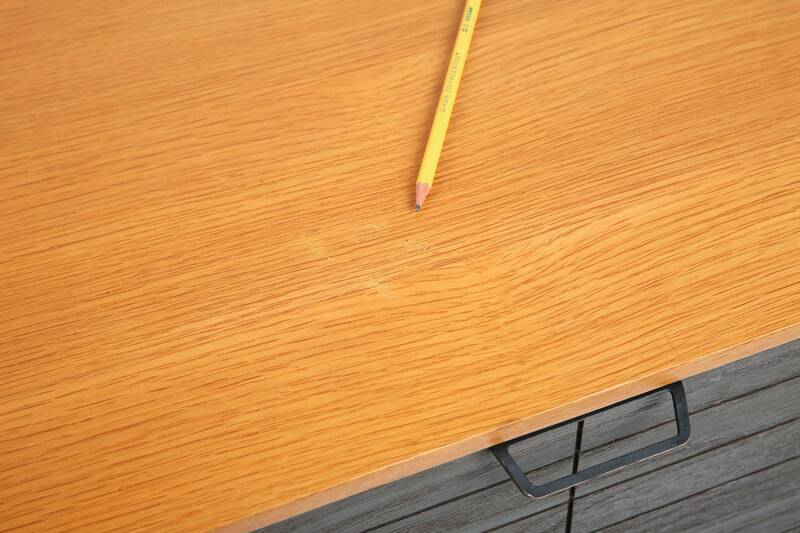 Additional condition pics available upon request.